Welcome to the Highlands Katahdin Maine area – home of several unique Maine attractions. Many vacationers will camp and take advantage of the hiking. Serious hikers climb Mt. Katahdin – Maine’s highest peak. The Moosehead Lake – Katahdin region of central Maine is known for hiking, biking, fishing, mountain biking and the great outdoors. The University of Maine Orono is located here, as are the twin cities of Bangor / Brewer. Ask us about Maine Attractions or share comments. 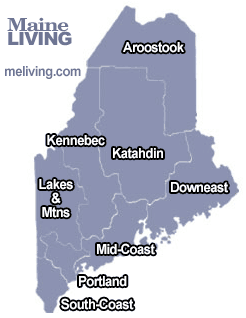 To feature your Maine business, contact us. Children’s Museum featuring hands-on learning & creativity. Family fun park with mini-golf, rock climbing, go carts and more. Live performances at the Bangor Opera House from Annie to Steel Magnolias.